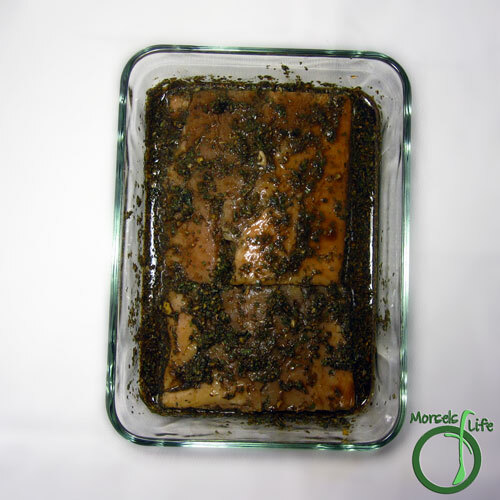 A sweetly tangy salmon with basil, cilantro, and garlic in a balsamic sauce. Since I'm still somehow unpacking, I wanted an easy salmon dish. And what's easier than just throwing a few materials together and then throwing the whole thing in the oven? 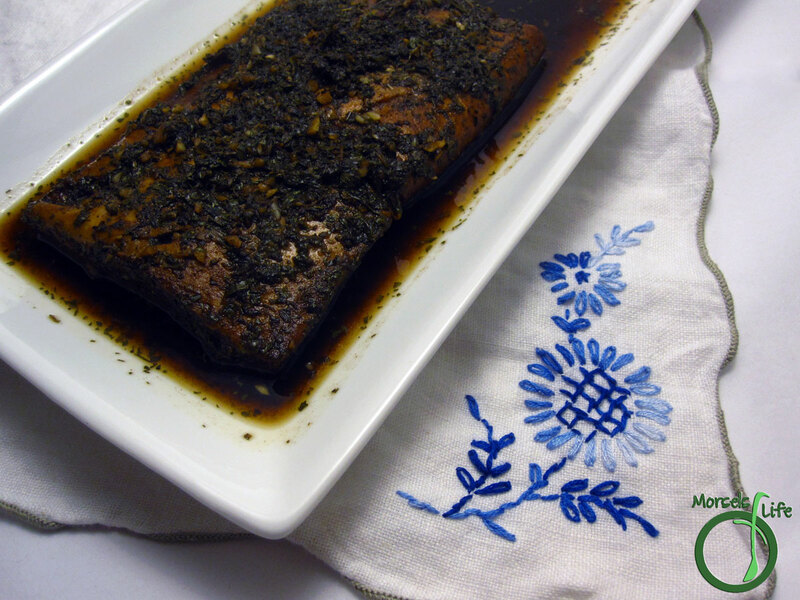 Plus, balsamic vinegar not only tenderizes the salmon during the marinating step, once baked, the acidity decreases and the sweetness comes through. Almost like a balsamic vinegar reduction - minus, you know, the actual work of making the reduction. Less work and great flavor? A win in my book! Give it a try and see if you agree. 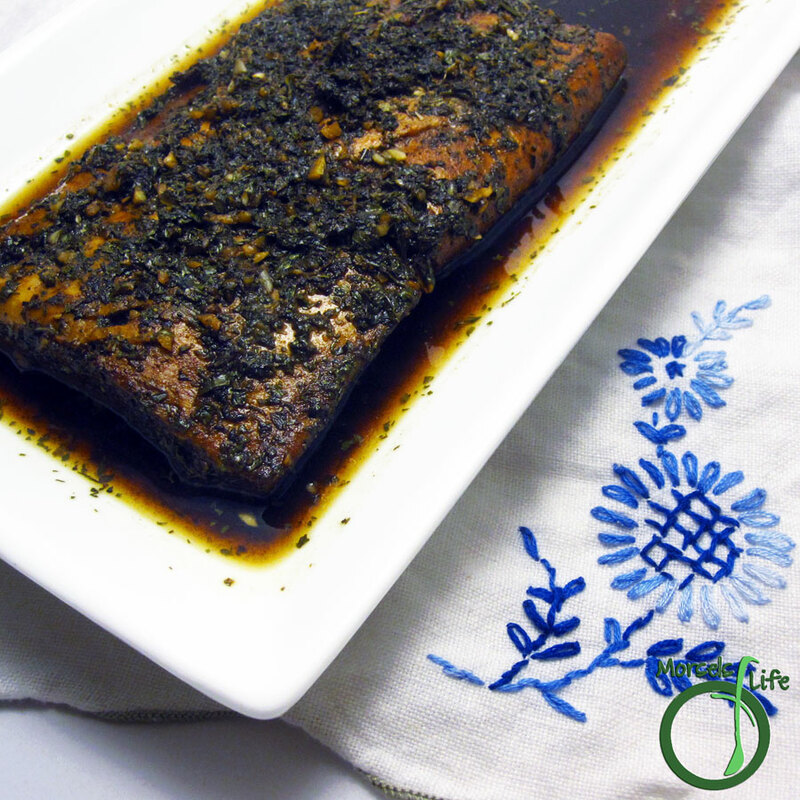 What's your favorite easy salmon recipe? 2. 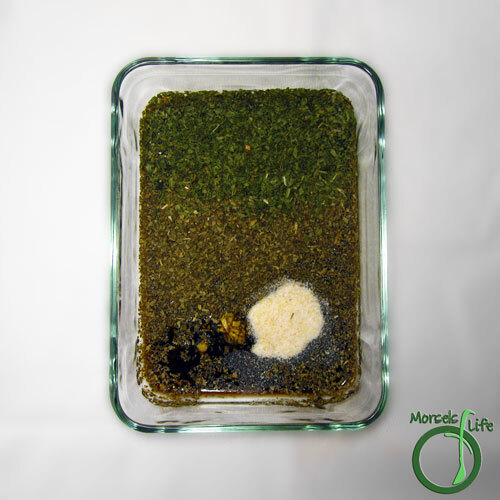 Combine balsamic vinegar, garlic, cilantro, basil, and garlic salt. 3. 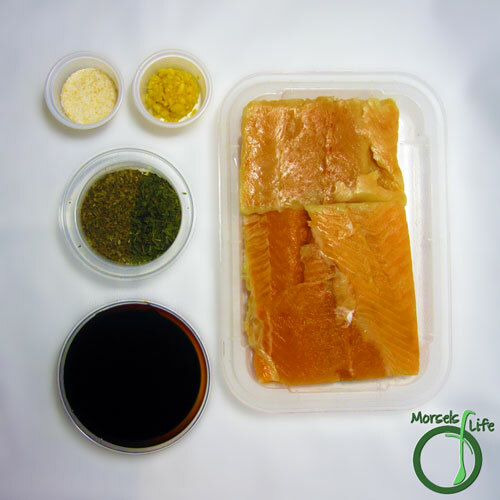 Dip/marinate the salmon in sauce, then bake at 350F until cooked through and flaky. This looks really tasty! Thanks for linking up with "Try a New Recipe Tuesday." I hope you will be able to join us again this week. This sounds fantastic - I bet that balsamic adds some amazing flavor. Thanks so much for linking up to Friday Food Frenzy - Cant wait to see what you link up this week!